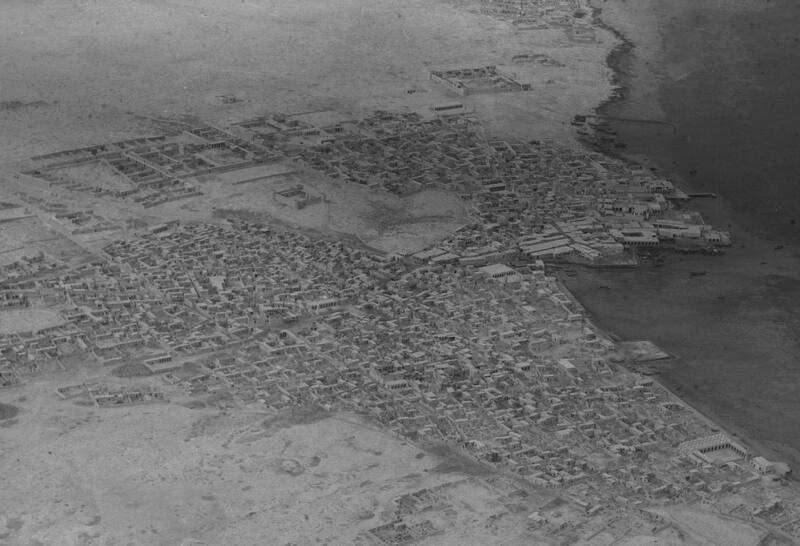 Just around the corner from the modern, metal and glass skyscrapers of Doha are traces of the city’s past. 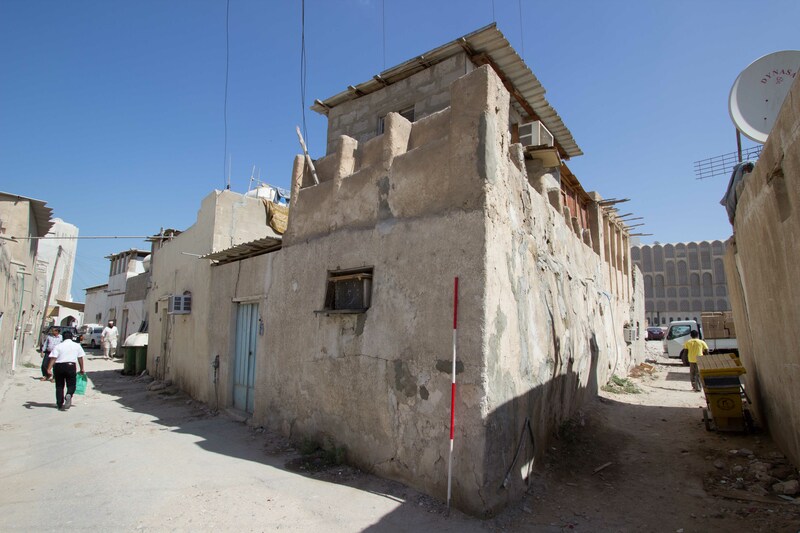 Though they are rapidly disappearing, there are still traditional buildings in a few of the older districts of Doha such as Al Asmakh, Najada and Old Ghanim. 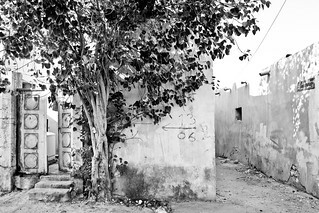 Doha in the first half of the 20th century consisted of tightly packed groups of houses separated by narrow alleyways providing shade, privacy and security. Most houses would be arranged around a central courtyard, a semi-private space where many household activities were undertaken. On at least one side of the courtyard a colonnaded veranda (liwan) created a shaded area and acted as an important decorative element within the house. Surrounding the courtyard were a range of rooms, some with specific functions such as the majlis, store rooms, or hamam (bathroom). Often located near the entrance the majlis was used to entertain visitors, or for conducting business in a space which could be kept private from the rest of the house. In Doha the traditional building material was a hard, locally sourced limestone. 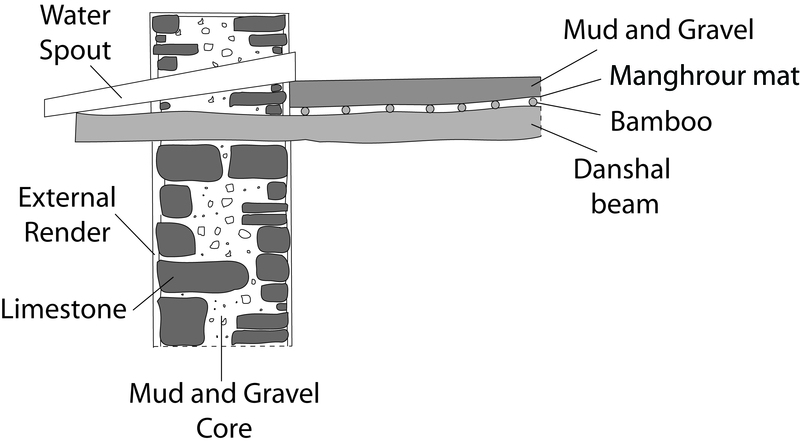 Walls were held together with packed mud, gravel and smaller stones instead of mortar. These walls were susceptible to erosion by the elements and had to be protected with a layer of gypsum based render. Heavy winter rain-storms could damage the building, so wooden water spouts often diverted the run-off from the roof into the street. The roofs were flat, and incorporated both functional and decorative elements. Mangrove beams, imported from East Africa, were laid directly on top of the walls and acted as rafters, supporting the roof and upper storey. The beams were overlaid with a layer of split bamboo or reeds, and then a palm mat known as a manghrour. Finally, the roof was made watertight with the addition of several layers of well tamped down earth. Mangrove beams commonly protruded beyond the exterior walls on either side, establishing a distinctive design motif. 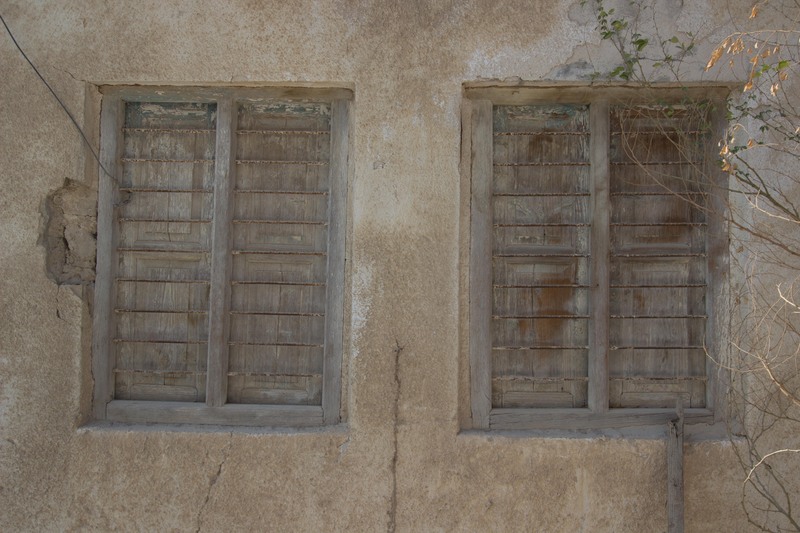 The exterior of Qatari houses featured rectangular recesses or recessed arches. These break up the severity of the façade. 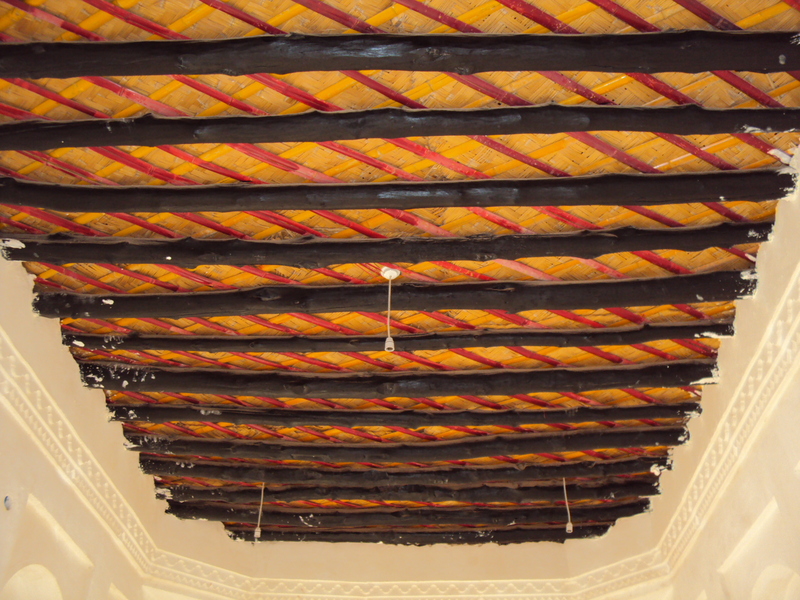 Many traditional buildings incorporate a saw tooth decoration into crenelations on top of the building. Similar saw tooth designs are traditionally impressed into wall plaster around door-frames or the top of internal walls.The interiors of wealthier residences were often decorated with elaborate gypsum plaster panels, incorporated complex geometric designs. 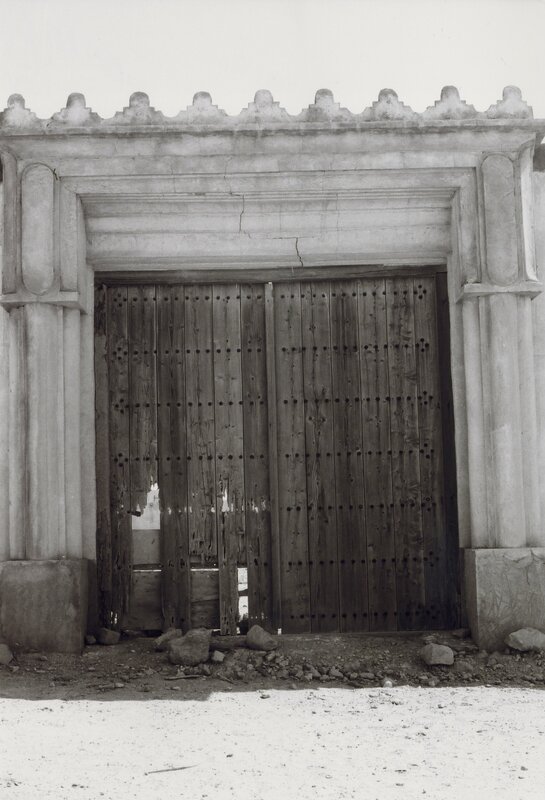 Wooden or metal doors were also elaborately decorated in a similar style. Windows sometimes featured coloured glass, often featuring embossed geometric decorations. With temperatures regularly exceeding 40°C in Doha, climate is an essential aspect of Qatari architecture and a number of features help to provide protection from the heat of the Gulf summer. The thick stone walls reduced the amount of heat conducted to the interior of the building in the summer, and in winter helped retain heat in the building. The external façades of buildings tended to have few windows, helping to keep the building cool. Internal windows and doors were shaded by a wide veranda and could be covered by heavy wooden shutters. Badgheer is a form of traditional construction which channels air through a building in order to cool the inside of the structure. These design features create or take advantage of any cooling breeze in order to cool the house. The large open courtyard helps to promote the circulation of air around the building, and a series of openings around the base of their walls can create a cooling breeze in the summer. Similar horizontal air-gaps in the roof screen create air circulation and a cooling breeze.